When even the most basic room is gorgeously designed, you know you’re in for a truly special Roman hotel experience. Generously-sized spaces with banquette window seats, mahogany furniture, high ceilings and exquisite linens are standard fare here; you’ll understand that after visiting the lobby, with its marble floor, gold inlay work, and stunning carved marble banquet table. Art adorns the hotel’s walls, and you’ll find flowers meticulously arranged in every corner. The hotel’s former guests – Ingrid Bergman, Hemingway, and Fellini – must be very upset that they’re not around to enjoy the luxury Michelin-starred Terraza restaurant, with its wrap-around views over the city. 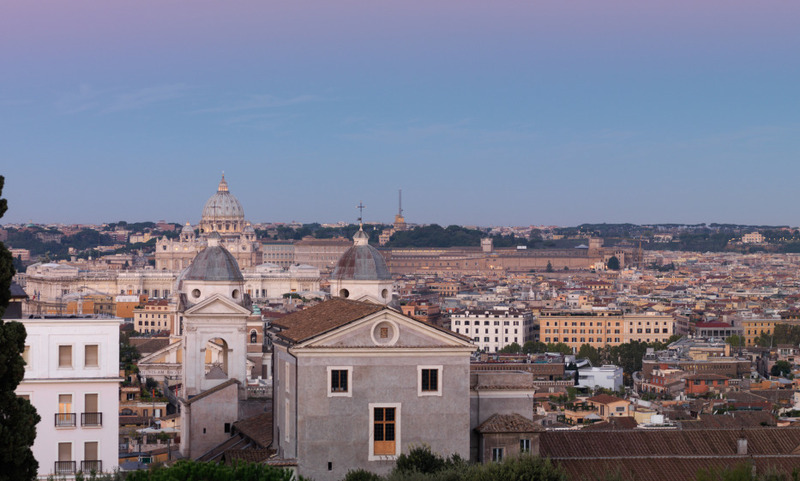 Enjoy a great location in the heart of the golden triangle Spanish Steps-Via Veneto-Villa Borghese. Having dinner at the Michelin starred restaurant La Terrazza on the hotel's top floor with a panoramic city view. Being the first to discover the hotel's brand new spa. Very accommodating. We were upgraded and had a spectacular view. Would definitely stay here again! Excellent and courteous staff. Enjoyed location of hotel. Service first class.